Behold the knights of the round egg. 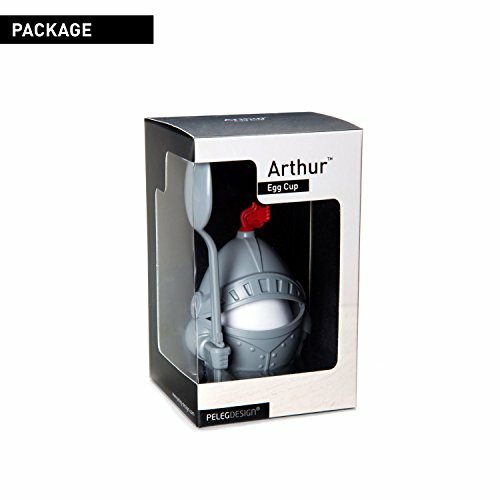 Bound to his chivalry code, Arthur will come to your service each morning as your egg in shining armor. 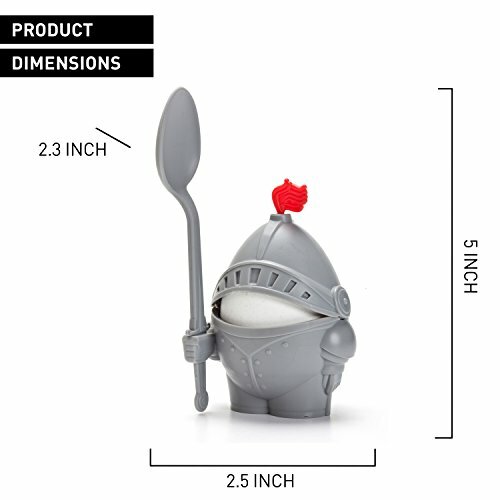 Dimensions: INCHES 2.1″ x 2.3″ x 4.9″ and Centimeters: 5.5 x 6 x 12.5 cm.➤ KEEP YOUR EGG SAFE: Behold the knight of the round egg, bound to his chivalry code, Arthur will come to your service each morning as your egg in shining armor. 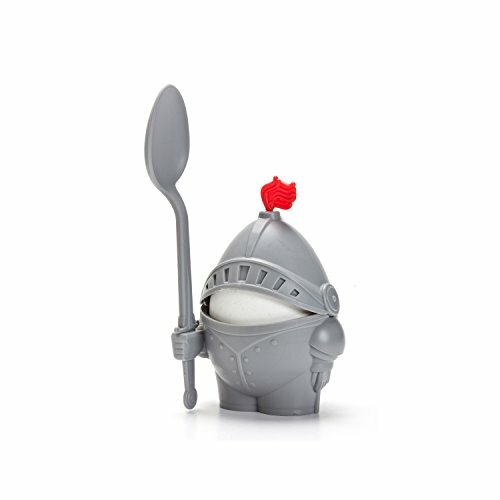 ➤ FUNCTIONAL AND FUN: Serve the hard-boiled egg into this cute knight design container and enjoy with its matching spoon. 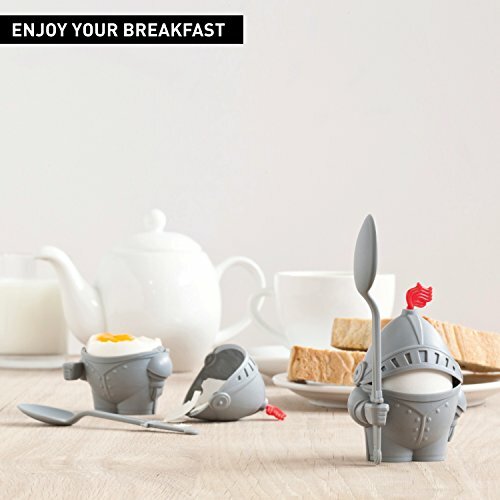 ➤ THE PERFECT GIFT: Surprise someone who loves fun kitchen utensils with this cool knight gift. It will definitely keep your kitchen safe! ➤ OUR GUARANTEE: Peleg Design is committed to the best customer experience. Our clients’ satisfaction is the most important thing, we always promise a full refund if you don’t like our product, NO QUESTIONS ASKED. For every need- contact us!